I can’t let the day pass without ‘mentioning’ (in this updated re-post) that it is Alessandro Stradella‘s birthday (April 3, 1639, near Rome), the mesmerizing figure at the center of my first published novel, A House Near Luccoli. In the seven and a half years since its publication, I have certainly noticed more interest in and attention on Stradella and his music. In January of 2016, BBC Radio 2 broadcasted How to Flee From Sorrow* – Behind (Stradella’s) lovely, well-ordered music was a life bursting with ambition and starved of security. The program’s musical director was Alberto Sanna, musicologist and violinist, who has released the first-ever complete period-instrument recording of Alessandro Stradella’s beautiful yet neglected Two-Part Sinfonias. *The entire program is not currently available, except as occasionally re-broadcast on BBC Radio 4, but teasers are available here and here. Click here for a wonderful and insightful piece about Stradella – “Wild man of the Baroque” – by the program’s writer, Frank Cottrell Boyce. Since 2016, the Festival Barroco Alessandro Stradella has been held in September in Stradella’s birthplace of Nepi, Italy. Click here for the program from 2018. So I celebrate his birth! 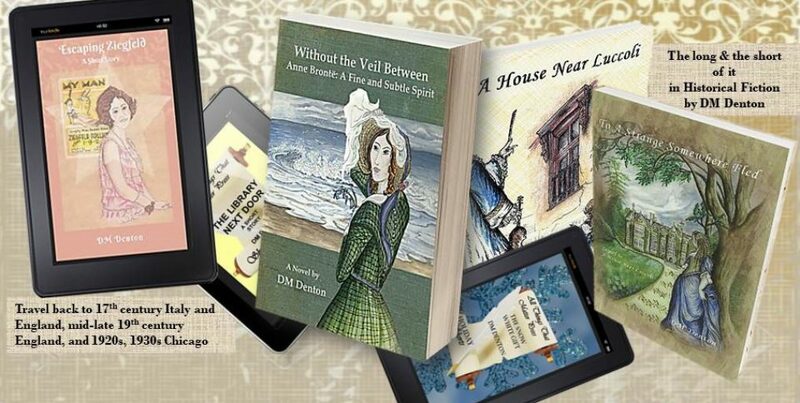 With the launch of my most recent novel, Without the Veil Between, Anne Brontë: A Fine and Subtle Spirit, this blog has gained some new followers. 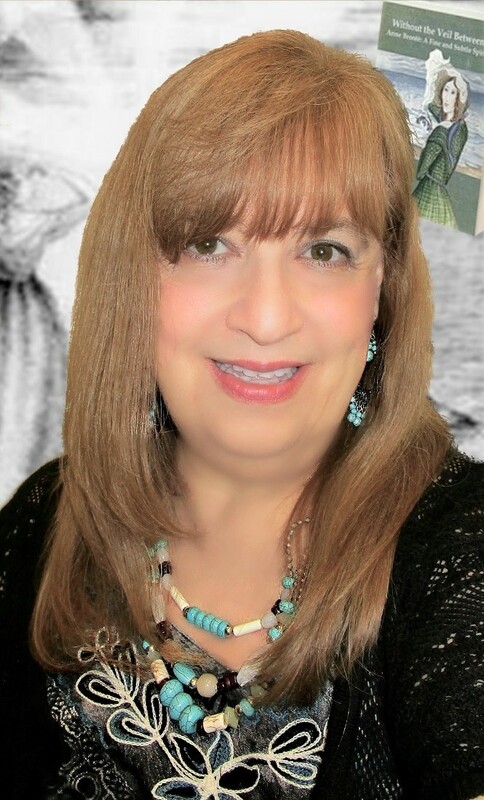 I thank you for choosing to connect with me and my muse, and I offer a heartfelt welcome. 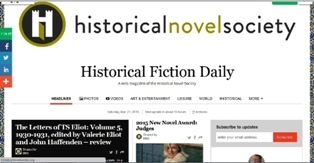 Perhaps you don’t know of my other publications – two novels set in 17th century Genoa and England, and three kindle short stories set in the late 19th century, and 1920s and 1930s Chicago. You can find all on my amazon author page and on my Goodreads profile. And, of course, this blog has more information on them, as does my website: dmdenton-author-artist.com. Because it’s officially summer, the time when one of the most precious, playful, graceful, healing, and resilient gifts this earth gives us is in abundance, this post highlights the illustrated journal I published in 2014 that was originally created by hand while I was living in Oxfordshire, England in the 1980s. I thought of doing this post when I fell in love all over again with one of my favorite flowers, currently in full fairy-ish bloom in my garden. The name “foxglove” was first recorded in the year 1542 by Leonhard Fuchs, whose family name, Fuchs, is a Germanic word meaning “fox” (the plant genus Fuchsia is also named for him). The genus digitalis is from the Latin digitus (finger), perhaps referencing the shape of the flowers, which accommodate a finger when fully formed. Thus the name is recorded in Old English as foxes glofe/glofa or fox’s glove. Over time, folk myths obscured the literal origins of the name, insinuating that foxes wore the flowers on their paws to silence their movements as they stealthily hunted their prey. The woody hillsides where the foxes made their dens were often covered with the toxic flowers. Some of the more menacing names, such as “witch’s glove,” reference the toxicity of the plant. Henry Fox Talbot (1847) proposed folks’ glove, where folk means fairy. Similarly, R. C. A. Prior (1863) suggested an etymology of foxes-glew, meaning ‘fairy music’. However, neither of these suggestions account for the Old English form foxes glofa. The foxglove is featured in A Friendship with Flowers, each page dedicated—illustrated with poetry—to a specific flower following a sequence from the beginning to the end of the year. A Friendship with Flowers is available in print and for kindle devices and app. It would make a lovely gift for a gardener or wild flower lover, including yourself. This gorgeous book contains the author’s own exquisite illustrations of a variety of flowers from hedgerow and garden, all accompanied by mellow poetic verses in her own inimitable style. Hope your summer has gotten off to a happy and blessed start! For most, bluebells have come and gone, although in cooler areas they may linger. As they may in poetry. 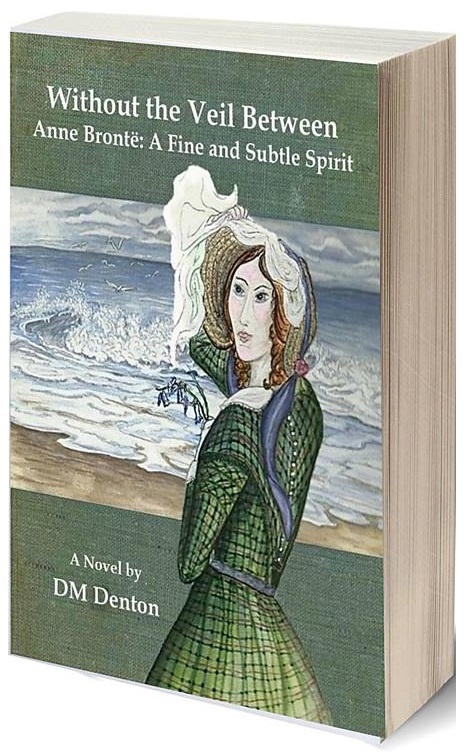 The subtitle of my latest novel, Without the Veil between, Anne Brontë: A Fine and Subtle Spirit was taken—on the suggestion of my friend Deborah Bennison (Bennison Books)—from one of Anne’s poems inspired by the “little trembling flower”. It was written in August 1840, during her first year as governess for the Robinsons at Thorpe Green. The sea lies behind the poet and a range of hills ahead. She is walking “all carelessly” along a sunny lane. She laughs and talks with “those around” – presumably her pupils – and does not feel as harassed as usual. The sudden sight of a blue harebell on the bank by the road recalls her own childhood. She had then been dwelling ‘with kindred hearts’ and did not have to spend her life looking after others, as she now had to. In 2012, I also reflected poetically on the delight and memories that the “lovely floweret” brought to me. This is the most beautiful novel about Anne Brontë and her sisters that I’ve read in a very long time. Go to the novel’s booklaunch page for more reviews, synopsis, book trailer, and buy links. Reposting … a day late. Forgive me Maestro! If you’re interested in knowing more about this once famed, talented, legendary, long neglected Baroque Music figure, I hope you will read on. 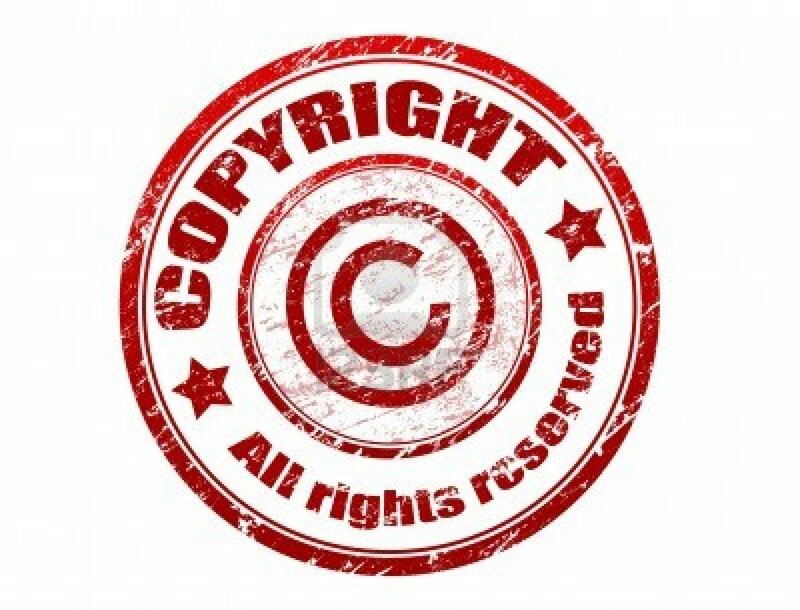 Also check out the page on this blog devoted to the novel and Stradella … and on my website. When and how was I first introduced to Alessandro Stradella? I first heard Stradella’s story and—knowingly—his music while driving to work in 2002 and listening to a Canadian classical music radio station show called In the Shadows. By the time I arrived at work, I could only remember his first name. Later I googled composers named Alessandro, scrolling down all the entries for Scarlatti to finally find a very few mentions of … Alessandro … Stradella! In time I found out why Stradella, a celebrity in his time who produced a body of work that set him alongside the greatest Baroque masters, was, at best, a footnote in music history. Unfortunately, in the decades and centuries after his death, Stradella’s alluring story took on an almost exclusively cloak-and-dagger slant in novels and operas, eclipsing his importance as a composer until his music was rarely performed. Only recently, thanks to a dedicated biographer and cataloger and some enlightened musicians, that has begun to change. One of the most beautiful distinctions of the sun is to disburse the mine of its golden splendors not only over the nearest countries but also to the most remote lands. How did my interest in Alessandro Stradella grow to the point of wanting to write about him? From the first I was drawn to him because of the contradiction between the discipline of his work and recklessness of his behavior. It evoked a special connection for me, for I had personally seen the potential of talent and purpose sabotaged by incautious, even self-destructive behavior. The more I learned about Stradella’s triumphs and failures, and all the hard work and missteps in-between, the more I became fascinated by a personality at once charming and creative, intelligent and indulgent, cultivated and itinerant—an adventurer who made a few messes but also many masterpieces along the way. Finally, in the summer of 2005, I really met Stradella in the intimacy my imagination created: observing him behind the scenes in great and small ways, surrendering to his charisma, and enjoying his self-determination while exploring why he so often put his career and life at risk. I often thought how much easier it would have been if there were more details available about his appearance, personality and the events of his life, but I also realized his obscurity offered an opportunity to discover him in less public ways: through his letters, even his handwriting, and especially his music that knew the rules but pushed the boundaries. Before her was a gracious creature, especially his hands composing in mid-air and his eyes shifting slowly in observation and expression … without music’s influence he might not wander like a prince among his subjects, though who could think that was all there was to him? There is the possibility that the last place Stradella lived in Genoa was a house near the Luccoli district. The house was most likely owned by Guiseppe Maria Garibaldi, one of the Genoese noblemen who supported Stradella. I couldn’t find any specific details regarding this house—such as its exact location or whether it still existed—but for the purpose of the novel I put it on the map and set to ‘building it’ based on what my research and imagination came up with. I knew from the beginning that I wanted to create a domestic setting for the developing relationship between Donatella, my fictional female protagonist, and Stradella; one that allowed the reader behind the scenes of his career and persona. The novel does, at times, escape such close quarters into the magnificence and mayhem of Genoa, but essentially remains an interior study of character and circumstance. Their landlord, one of the Falcone’s managers, announced that Signor Stradella would be moving into their quiet world … It was assumed Signor Stradella would use the apartment for composing as well as sleep and light refreshments. Otherwise he would be out for tutoring and rehearsals during the day and church performances on Sundays, his evenings planned and unplanned with meals and diversions in more and less respectable settings. What surprised me the most in my research for the novel? One of the most surprising things was discovering Genoa as a fascinating place and perfect setting for the story I wanted to write. Up until then I knew it as Christopher Columbus’ birthplace, otherwise—if most travelogues of Italy were anything to go by—for passing through on the way to somewhere else or avoiding altogether. La Superba (The Superb One) is a vertical city, back-dropped by the Apennine Mountains, surrounding a bay looking out past its famous Lanterna (lighthouse) and the Ligurian Sea towards the eastern Mediterranean. It has splendid churches, palaces and villas. Also, in its medieval center, there’s a labyrinth of narrow caruggi (alleyways) full of poverty, danger and sudden beautiful entrances to half-hidden palazzi. It’s a conflicted place with, as Stradella’s chief biographer, Carolyn Gianturco, wrote, “a climate of public puritanism and private crime.” The novel is about human contradictions, too: Stradella’s, of course, but also Donatella’s. Genoa has been called “the most English city in Italy”, and so proved an apt location, as Donatella is a ‘daughter’ of both countries. Of course Genova had a conceit she couldn’t have, knowing its purpose and hiding or flaunting its features of beauty. Once she saw all its wonders and woes from the esplanade of Castelletto, the mountains closer and the Lanterna further away. Perhaps she made out her house; if not its signature portal of Saint George and the Dragon, then a signifying shine on its roof’s slant. It was a prestigious place to live depending on how she looked at it, whether connected up to a parade of palaces, across divides or down crooked stairways to the port. Was I tempted to write myself into any of the characters? I knew I was there from the opening lines, disguised and revealed in the character of Donatella. Like me, she is Italian and English, a writer and artist, gardener, companioned by cats, wrapped up in solitude, contradictions, moods, and memories, and addicted to music’s presence in her life. Certainly, I could understand her struggle with surrendering to Stradella’s charm, talent and impetuosity; how it felt to be amazed, flattered and bewildered by such an attraction; and that in the end so much and so little changed for her through knowing him. This was a very personal story for me to write. Even more so once it was published, life imitating art when Donatella’s quiet grief and onward journey became my reality, too. There was no unloving him as he was, available and irresistible, artful yet authentic, larger than life but vulnerable. Making his acquaintance was unforgettable, seduction unavoidable, consequences bestowed like blessings. She was an artist, seeing him gracefully off balance like the orchid she was painting, bending left and then right, one arm behind a hip and the other lifting and falling at the same time, neck slightly turned, head back, and face flowering into a smile and wink. How did I write about music and am I a musician myself? A House Near Luccoli and its sequel To A Strange Somewhere Fled, are available on amazon.com in paperback, Kindle and Audio Book editions; and at barnesandnoble.com in paperback and NOOK Book editions. I am happy to report that there is an ever-increasing interest in Stradella’s music. Alberto Sanna is “a musicologist and violinist from Sardinia, Italy, who specialises in early modern Italian music. ​He has released the first-ever complete period-instrument recording of Alessandro Stradella’s beautiful yet neglected Two-Part Sinfonias.